The Long Walk Home: So What Does the Calligraphy on Mumtaz Mahal’s Tomb Say? So What Does the Calligraphy on Mumtaz Mahal’s Tomb Say? So what does the calligraphy on Mumtaz Mahal’s tomb say? Anyone? First things first. The exquisite calligraphy in Taj Mahal is written in either of these two languages, Arabic and Persian. Arabic is the language of the Quran, thereby holy, and Persian was the court language of the Mughals, thereby official. Marqad munavvar Arjumand Banu Begum mukhatib bah Mumtaz Mahal tanifiyat ferr sanh 1040 hijri. "Mehrunisa returned to her examination. The base was decorated with registers of interlacing hanging flowers, the top and sides inscribed with Quranic verses. The common theme of the verses was to comfort the soul of Mumtaz with the prospect of paradise. 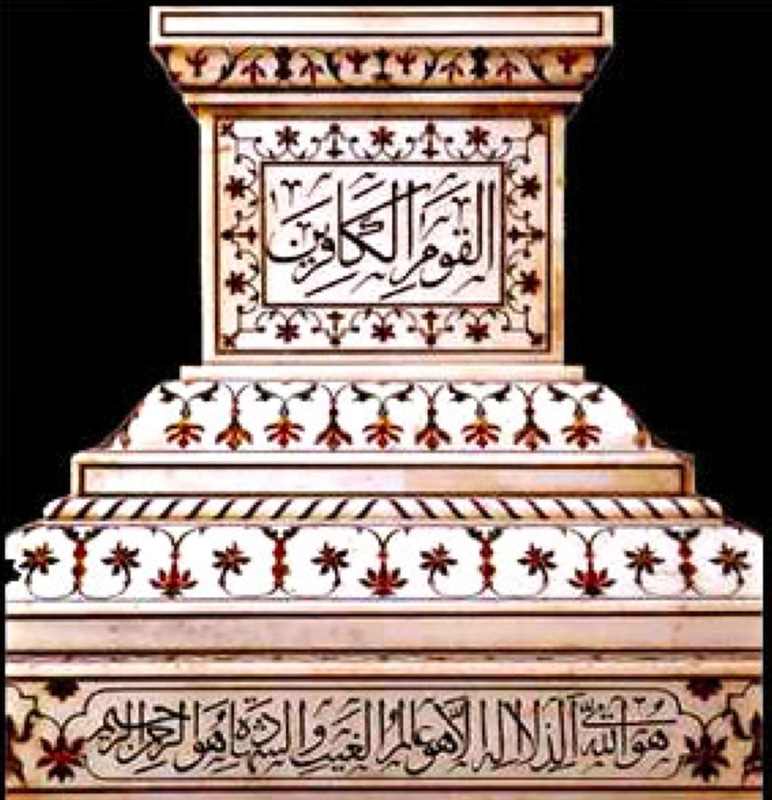 At the south end, in the lowest element of the plinth was the epitaph: The illumined grave of Arjumand Banu Begum, entitled Mumtaz Mahal, who died in the year 1040 (AD 1631)." Voila! Now you can quiz your friends and watch their befuddled faces as you spout Persian!